A couple of weeks ago, I saw an incredible video, along with millions of other awestruck YouTubers. From the first exterior view of the International Space Station, followed by the interior shot with the little sign taped to a door that read, “Recording In Session,” I was hooked. 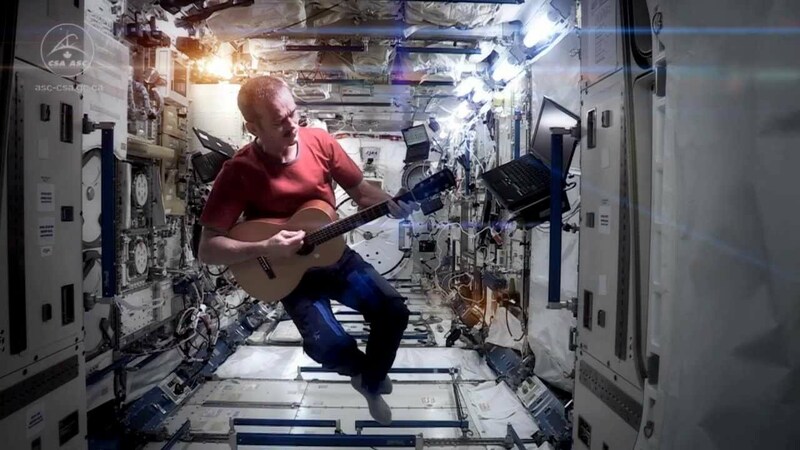 Now, after over 15 million views and nearly 306 thousand YouTube “likes,” the music recording of David Bowie’s “Space Oddity” by Commander Chris Hadfield on the International Space Station stands as the most remote music collaboration in the history of planet Earth. Since I first saw it, I’ve thought a lot about remote musical collaboration. In Chris Hadfield’s version of “Space Oddity,” the guitar and vocal parts were recorded on the station, 230 miles above our planet. If his recording session took 90 minutes or more, then he zipped completely around the Earth while he performed Bowie’s space-aged track. Recording artist Emm Gryner had previously performed the piano accompaniment in Toronto, Ontario, so that Commander Hadfield could lay down his parts on the space station. Once the vocals and guitar parts were recorded, music producer Joe Corcoran executed the rest of the instrumental performances and production on the track from his studio in Los Angeles, California. So, the track was both international and extraterrestrial. Bringing this back to our own field of endeavor, let’s talk about remote collaboration in game development. Perhaps more than any other segment of the entertainment industry, video game development thrives on bringing together the talents of people scattered around the globe. Game developers are perfectly comfortable communicating with each other remotely, and the technology of off-site collaboration doesn’t intimidate developers in the slightest. In my own projects, I’ve composed music for development teams located all over the world, and I’ve learned that good communication is vital in working effectively with remote teams. From teleconferencing and Skype, to exchanging files via FTP and cloud storage, to good old-fashioned e-mails and phone calls, there are lots of ways to make sure that everyone on the team is up-to-speed, regardless of their location. While communications technology does a good job in addressing logistical concerns in coordinating remote members of a development team, there are also matters of a more abstract nature… and these have to do with the spirit of collaborating. For instance, when I was first hired to compose the music for Speed Racer The Video Game, my direct supervisor for the project was a producer with Sidhe Interactive, located in Wellington, New Zealand. After a short Skype conversation in which we compared notes regarding time zone differences, we set aside that approach and began e-mailing Microsoft Word documents to each other. In these documents, we broke down the music requirements for each level of the game, discussed possible music style choices and traded ideas back and forth. In addition to allowing us the opportunity to share our enthusiasm for the project, communicating this way had the side benefit of encouraging us both to carefully think things through. Plus, we enjoyed the added advantage of simultaneously creating a set of documents that we could then use as guidance throughout the music production process. It was a win-win situation, and made for an enjoyable collaboration. At its heart, collaboration is about being a part of something bigger than ourselves. The goal of a good collaboration is to create something that couldn’t be achieved by one person alone. The inspiration of the team is very important, so everybody has to have faith in what they’re doing. As members of a collaborating team, we all have to make sure that we convey our inspiration to each other. Once that’s accomplished, distances tend to dissolve away. 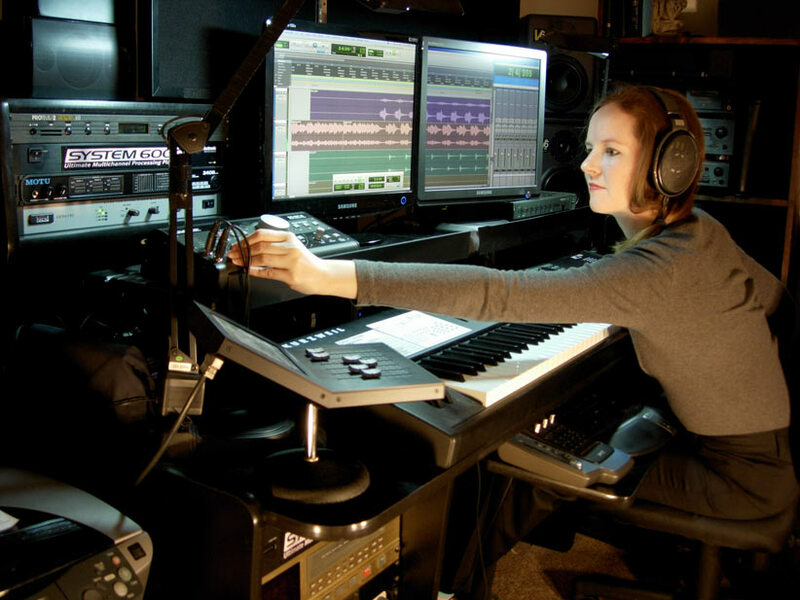 This blog entry focused mostly on the experience of working with distant game development teams, but remote collaboration can also involve partnerships with other composers or performing musicians. For those kinds of working partnerships, there are plenty of online software tools available to make the job easier. You’ll find some in this article and in the online music collaboration directory on Yahoo. Yesterday, I read a bulletin board thread in which a musician wanted to know how to sound organic while using sampled orchestral instrument sounds. I wrote a quick reply to the board post, but afterwards I thought that the subject matter deserves a longer exploration. Certainly, we’d all like to work with live musicians whenever possible, but most often we’ll be composing music for a sampled sound library triggered by a controller keyboard. Even composers who are writing their scores for live orchestra will first need to make demo recordings with a sampled orchestra to show what the final music will sound like. These demos generally have to be top notch. Because of this, there really aren’t many composers for entertainment media who don’t have to master the art of simulating the sound of acoustic instruments using a sample library. So, how do we obtain that organic sound? Sample libraries and virtual instruments have become pretty sophisticated. A single virtual instrument for a woodwind such as an oboe might include hundreds of articulations and playing techniques. These might include trills, staccato, legato, runs, grace notes, and special programming for unique sonic transitions generated when the musician plays interval jumps such as fifths or octaves. While it might seem like all this would make a composer’s job easier, it can actually be the reverse. Years ago, a simulated oboe simply would not sound very good, and composers would either use such an instrument in a very limited way or avoid it altogether. Nowadays, these highly sophisticated virtual instruments often give the impression that a realistic, organic sound can be attained with ease. While a modern virtual instrument makes it possible to create a realistic sound, it doesn’t make it easy to do so. This results in a lot of confusion and frustration as budding composers use these full-featured orchestral libraries with high expectations, only to achieve less-than-stellar results. In the end, we always have to keep thinking about real musicianship when creating virtual musical performances. How would an actual musician perform this instrument? Where would breaths be taken? How would a string player bow this passage? What part of the hand would a djembe player be using when performing these rhythms? Even the smallest details can make a world of difference. The individual members of a taiko ensemble would always play their instruments with slight rhythmic irregularities, since no two human beings can match each other’s performances exactly. A vigorous and high-energy clarinet solo might need the addition of barely-perceptible clicking noises to the sound, to account for how aggressively the player would be hitting the keys. An intimate acoustic guitar solo might need fret sounds to be added, to account for the way in which the musician’s fingers would swipe across the strings. All these details add enormously to the organic sound of the music, helping to disguise the fact that it has been created in an entirely virtual environment. In my reply to the bulletin board thread about achieving an organic sound, I mentioned the benefits of watching instructional videos made by musicians demonstrating their instruments. Sites like YouTube and Vimeo can be enormously helpful. There are literally thousands of how-to videos on YouTube in which virtuoso musicians share their skills. Watching a talented musician running through an array of instrumental techniques is one of the most valuable resources available for a composer who is attempting to create a convincingly organic sound. Well, that concludes my first blog post! I hope you enjoyed it, and please feel free to leave comments below. Do any of you have tips about working with sample libraries and virtual instruments, or questions about them?